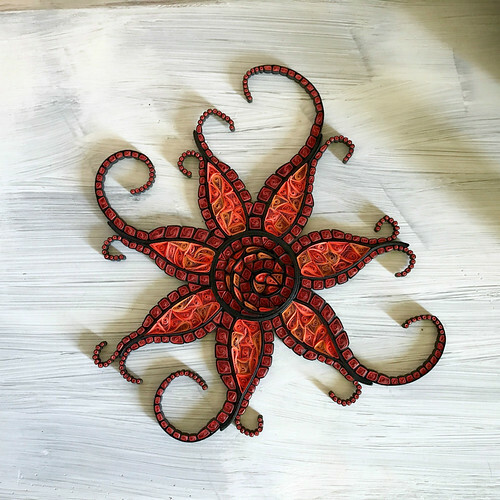 Little Circles quilling supply shop owner Erin Curet is always coming up with terrific projects... her vivid quilled Sunflower Suncatcher is just one example. 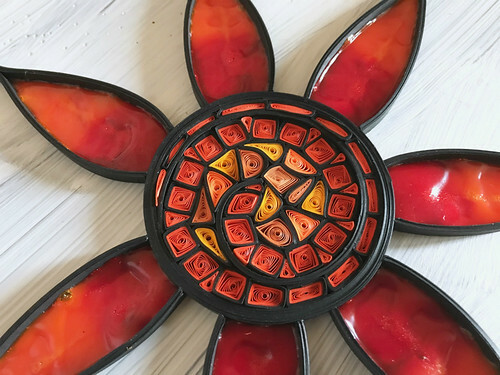 Erin recently got in touch to offer a giveaway to All Things Paper followers of the complete PDF tutorial and quilling supplies needed to make a suncatcher... paper strips, quilling tool, and needle tip applicator bottle filled with quilling glue to two U.S. winners. Shipping is included too! 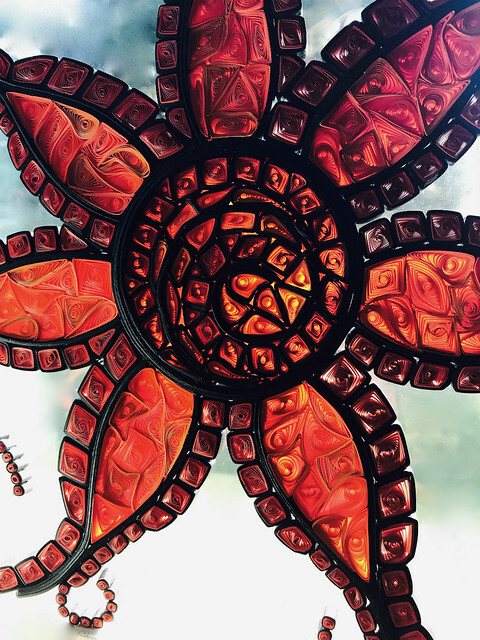 The Sunflower Suncatcher Digital PDF Tutorial is available in the Little Circles online shop if you would rather not take a chance on winning. 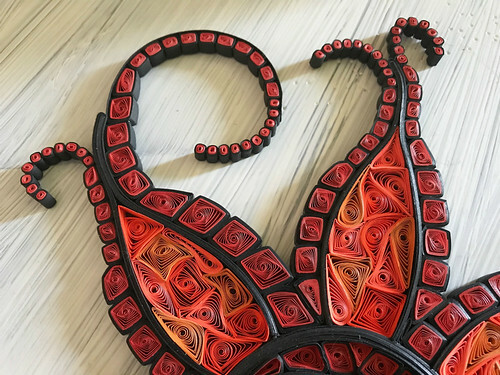 This project assumes you have basic knowledge of quilling shapes, but if you are new to the craft, Erin has you covered with a free PDF tutorial. 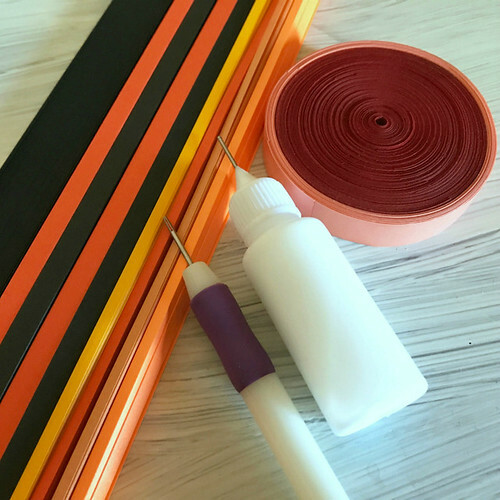 To complete the suncatcher, you'll also need things you may already have on hand... for example, Aleene's Tacky Glue, yellow and red food coloring, and wax paper or a silicone baking sheet. 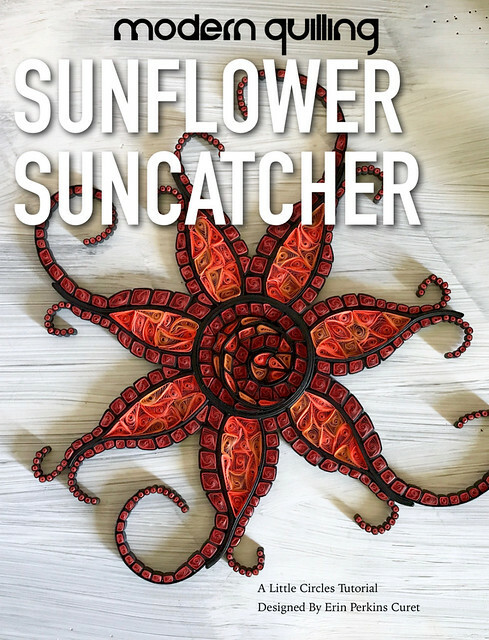 Now about the giveaway: Two winners in the U.S. will each receive a Little Circles Sunflower Suncatcher PDF Tutorial with quilling supplies. This same giveaway is underway on Instagram. Enter at one or both places by the end of Saturday, January 27, 2018. One winner from each location will be chosen at random and announced at the top of this post and on the Instagram giveaway photo. Good luck! Here's Erin's Sunflower Suncatcher hanging on a window catching some rays. What a great way to warm a cold winter's day! Little Circles is on Instagram, Facebook, and Twitter. Congratulations to Kathy Johnson (blog) and @angelamia61 (Instagram)! Thank you all for your entries and enthusiasm for this giveaway. Stay tuned as there will be another one coming up soon. This looks amazing! Would love to give it a try! Would love to make this suncatcher. Would love to give it a try Erin...Thanku. Wood love to make the suncatcher!!! I've been admiring it'd. I'm frm Canada but in case it just needs Aus mailing address, I have that! I would love to make this and give it to someone special. me iluminaría el día recibir un premio tal maravilloso! This is so beautiful. Thank you for the opportunity to win the how-to in particular. I would love to try this. What a beautiful project! Would look amazing in my kitchen window! I love coming to your site! Always something new and inspiring. I would love to win this. Thanks for the chance. Enchanting suncather! jb523 at charter dot net. Recovering from a stroke in December this would so brighten my day and lift my spirits to win. Dorothy send to Dlgibson627 at aol dot com. This is spectacular! Love the palatte! This is just lovely. I’d love to win! Thank you all for your entries and enthusiasm for this giveaway! Check back, as there will be another one coming up soon.